Spark Design Professionals was founded in 2002 by MSLK and two other studios who wanted a forum where designers could learn more about running an effective design business. Recently, we helped rebrand and design a modern, full-featured website, helping to improve members’ ability to promote their individual business presence, while vastly simplifying membership renewals, event promotion and registration. In 2002 several graphic design business owners got together to talk. Each of the owners was trained in design—not in business— and each of them was working all alone, struggling over the same issues. They called their gathering Spork. A few months later, MSLK joined the group. 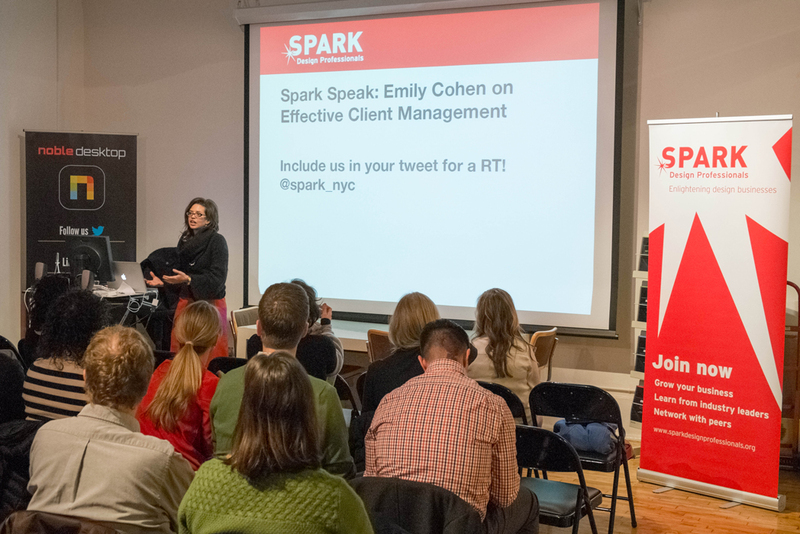 Each month they hosted a speaker to cover issues relevant to running a design firm, a niche area of conversation these owners could not find anywhere else. As the group grew, MSLK suggested that a name change might better reflect the group's professionalism. Our naming brainstorming process produced once clear winner, a small evolution from Spork to Spark. A robust website was then needed to handle the event registration, membership renewals, as well as a centralized place to provide past, present and future event details. The name Spark created a platform to illustrate the organization's purpose. MSLK paired it with the tagline, "Enlightening design business owners" and began to create promotional materials. Each promotion had to be clear, compelling, and well-designed in order to attract the group's target audience. 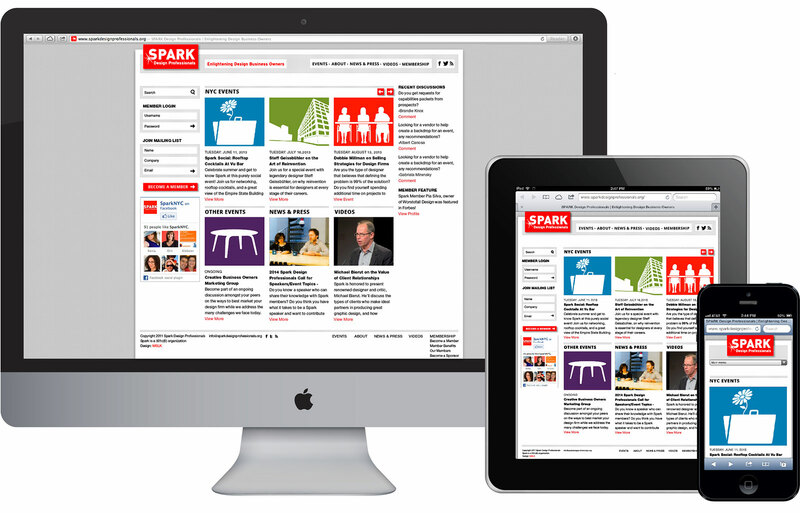 The Spark website has truly become the hub of the organization integrating members, content, and administrative activities in a mobile-friendly, responsive format. 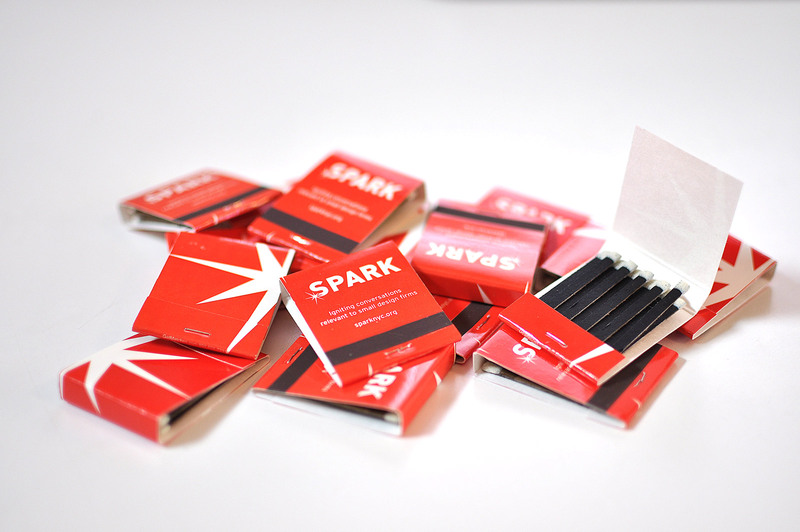 Eleven years and over 132 events later, Spark continues to be a thriving organizations whose notable speakers have included Pentagram's Michael Bierut, Best Made Co's Peter Buchanan Smith, Emily Cohen, Alina Wheeler, Alexander Isley, Steff Geissbuhler, Louise Fili — and many more. Under Sheri's charge as President, Spark received its official non-profit status as a 501(c)(6) organization in 2011.